Event Description : MUSIC : Italian Cultural Institute presents "solOrkestra" a concert by Italian folk violinist Luca Ciarla. The program features unusual arrangements of traditional Italian folk tunes, music from the Mediterranean and original compositions. The magician of violin, Luca Ciarla owns the stage with his violin and a few toy instruments. With a loop pedal he performs live all the parts, playing the violin as a guitar, a cello or a percussion. In this imaginative musical world Luca sings, whistles, plays other small instruments and adds new virtuoso passages; music evolves continuously into a fascinating solOrkestra. The Mediterramìa program features mainly original compositions, unusual arrangements of songs from the Italian folk tradition and music from the Mediterranean region "... a magical acoustic seduction in which each one finds familiar influences, from genuine folk to sophisticated jazz." 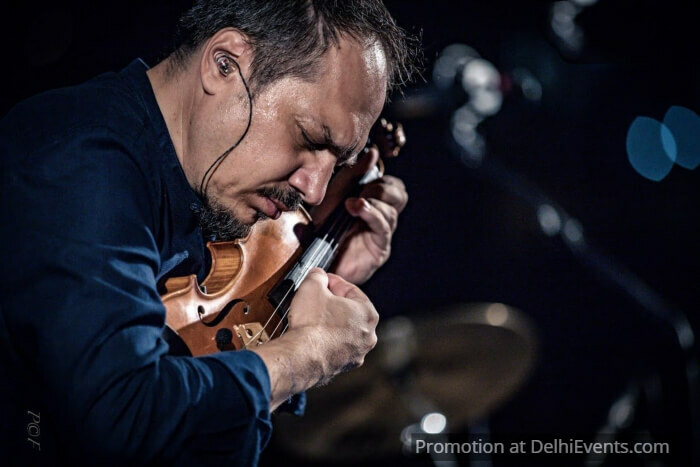 A creative and surprising violinist, Luca Ciarla easily overcomes the boundaries between genres to trace an innovative musical path, a magical acoustic seduction in perfect balance between written compositions and improvisation, traditions and contemporaneity. His unique style led him to perform successfully in Jazz, classical and world music festivals and concert series in more than 60 countries around the world; from Montreal Jazz Festival to the Hong Kong Performing Arts Center, from Celtic Connections in Scotland to the Villa-Lobos Festival in Rio de Janeiro, from Melbourne Jazz Festival to the Auditorium Parco della Musica in Rome. "... one of the most interesting violinists on the international scene today, capable of ranging between genres and different sounds without ever losing the center of gravity of his unmistakable style".